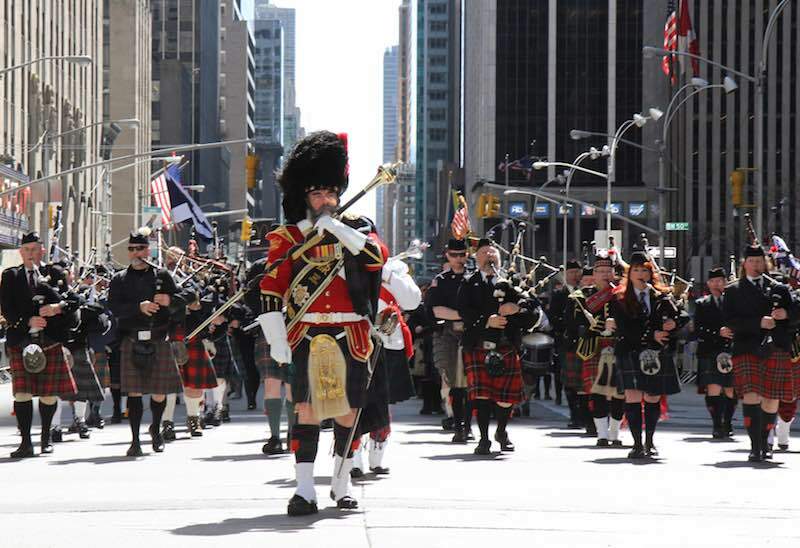 Pipe bands and Scottish groups are invited to take part in the 2016 New York Tartan Day Parade. The Parade starts at 2.00pm on April 9th at W45th Street and marches up 6th Avenue to 55th Street. Line-up is at 1:00pm and will be on the side streets near 6th Avenue and W. 45th street. About a week before the Parade, the Line of March will be released which will give the position of each unit in the parade and exactly where they are to line up. The parade is organised by the New York National Tartan Day Committee.